We’re slowly but surely approaching the release of Travis Strikes Again: No More Heroes on January 18th. 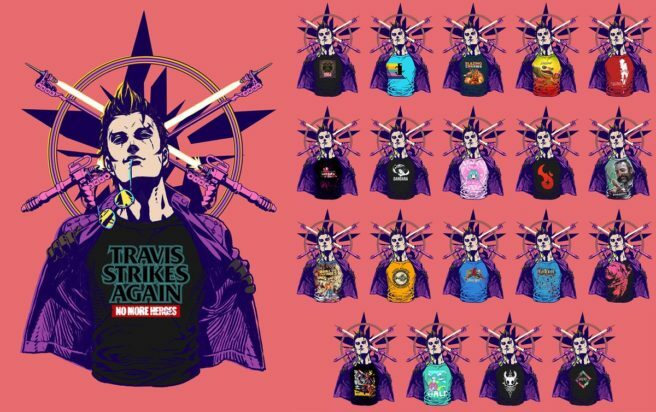 Today, Nintendo revealed a special little tidbit about the game: Travis can wear a variety of t-shirts in the game, and many of them feature indie games. The picture above shows shirts themed after Golf Story, Hollow Knight, Dandara, Bit.Trip Runner and many more.